SPANIARDS head to the polls on December 20 – and the result is set to bring seismic changes to the country’s political landscape. For the first time since democracy was restored 40 years ago, the uncertainty of a hung parliament and coalition government looms. The traditional duopoly of the left-wing PSOE and the right-wing PP faces a grave challenge from newcomers Podemos (We Can) and Ciudadanos (Citizens). And with the ever-restless region of Catalunya agonising over independence, this year’s general election is the most open in Spain’s modern history. 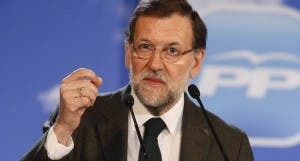 Mariano Rajoy’s ruling PP is hoping the growth of Spain’s economy in recent months will boost its chances. But even with employment on the up, recent polls suggest an overall majority is highly unlikely. Rajoy’s austerity policies, and a slew of corruption allegations involving PP officials, have damaged the party’s standing. Rajoy secured office with 44.6% of the vote in 2011, but just weeks before the elections, polls show his party hovering at around 25%. According to a December CIS poll of polls, the number of PP representatives could be cut from 186 to between 120 and 128, way off the 176 required to take office. Things aren’t looking much better for Pedro Sanchez’s PSOE. The same CIS poll shows their the number of representatives falling from 110 to between 77 and 89. Although a less precipitous drop than the PP’s, it’s a sign that the Spanish are looking elsewhere for alternatives to the current administration. And that’s where Podemos and Ciudadanos come in. The rise of Pablo Iglesias’s Podemos party has galvanised the left in Spain. Emerging out of Spain’s army of disillusioned, unemployed youth, the Indignados, the party’s meteoric rise began at the start of 2014. 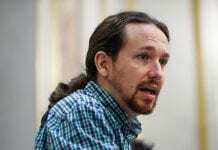 Iglesias, the charismatic, pony-tailed leader, a former communist, declared his intention ‘to storm the heavens’, and to fight the corruption and scandals marring Spanish politics. A stunning European election result saw them secure five seats and 1.2 million votes. By November 2014, an El Pais opinion poll had Podemos on 27.7% of the vote, making it the most popular party in Spain. An anti-austerity rally in Madrid in January 2015 attracted 150,000 devotees. In May’s regional elections, Podemos-backed candidates Manuela Carmena and Ada Colau dealt hammer blows to the ruling elite when elected as mayors of Madrid and Barcelona respectively. Podemos’s early surge has faltered in recent months. By August the party’s popularity had dropped to 15%, and it is currently trailing in fourth place, predicted to win between 45 and 49 parliamentary seats, although an energised Iglesias fared well in December’s live TV debate. As Podemos has slid, Ciudadanos has risen. The popularity of Albert Rivera’s right-of-centre party has been growing steadily this year. Founded in Catalonia a decade ago, the pro-business, anti-independence party has expanded its support base across Spain. In September, Ciudadanos secured the second highest number of seats (25) behind Artur Mas’s Junts Pel Si coalition in the Catalan regional elections. Rivera’s brand of market-friendly policies is spliced with socially liberal ideas, such as legalising prostitution. 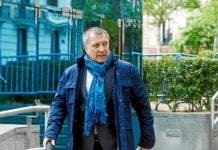 His role as potential kingmaker in the December election is boosted by polls estimating party support at just over 20%. 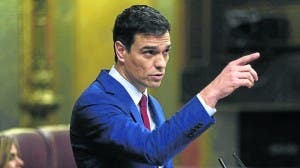 If correct, the 36-year-old Rivera could be striding through the doors of La Moncloa as Spain’s new prime minister. Meanwhile, in Catalonia, the seemingly endless saga of the region’s possible secession is uppermost in voters’ minds. September’s Catalan elections failed to show a clear majority in favour of independence. The Junts Pel Si coalition leader Artur Mas has been unable to find common ground with fellow independence-party the CUP. This damaging rift means the region is currently without a president, with Mas failing to secure the CUP votes required. And for the first time in 30 years, Esquerra Republicana is poised to win more seats than Mas’s mainstream, pro-independence coalition, Democracia i Llibertat. In November, Catalonia’s rift with Madrid widened when pro-independence MPs voted to begin ‘the process toward the creation of an independent Catalan state’ by 2017. Rajoy has used the courts to block the attempts; December’s election will be yet another litmus test of the Catalan electorate’s hunger to go it alone. With so many permutations, a long night of counting and jockeying for position awaits. But one thing is for certain. Spain is about to enter unchartered political waters. IF polls prove correct, and there is no party on course to win an absolute majority, a pact between two or more parties is inevitable. But a two-party coalition could prove tricky. According to December’s CIS poll of polls, the only two parties guaranteed to have enough combined seats to form a majority are the diametrically opposed PSOE and PP or Ciudadanos and the PP. But Ciudadanos leader Albert Rivera, mindful of how coalition government damaged the UK’s Liberal Democrats, has appeared to rule out going into partnership with the PP. 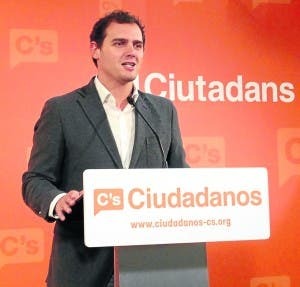 “Ciudadanos won’t be in any government if we don’t win the elections,” said Rivera. By December, PSOE sources were indicating Pedro Sanchez is ready to offer the PSOE and Ciudadanos a pact to keep the PP out of power. 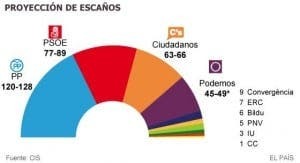 A coalition between PSOE, Ciudadanos and Podemos would make up enough seats to govern, although a three-party administration would be unlikely to be stable. IN Catalunya, the election is a four-way fight, with more twists and turns than Barcelona’s front-line attack. A Feedback survey published in La Vanguardia at the start of December put the four frontrunners on between 16% and 18%. Artur Mas’s Democràcia i Llibertat coalition are trailing with 16% as corruption allegations continue to harm his chances. Meanwhile, PSOE offshoot, the left-wing PSC, are projected to win 16.5%. Just ahead of them are pro-independence radical party Esquerra on 16.7%. Leading the way are a rejuvenated Ciudadanos on 17.7% of the votes. Should the poll prove correct, all four parties would secure nine seats. 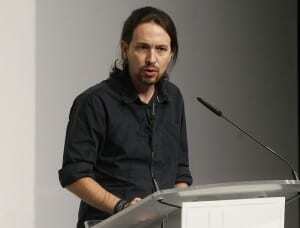 Catalonia’s Podemos branch, looks likely to poll around 15%, which would hand them six seats. The ruling PP’s fortunes, or lack of, in the region are summed up by their projected figure of 11.8%, which would give them five seats.